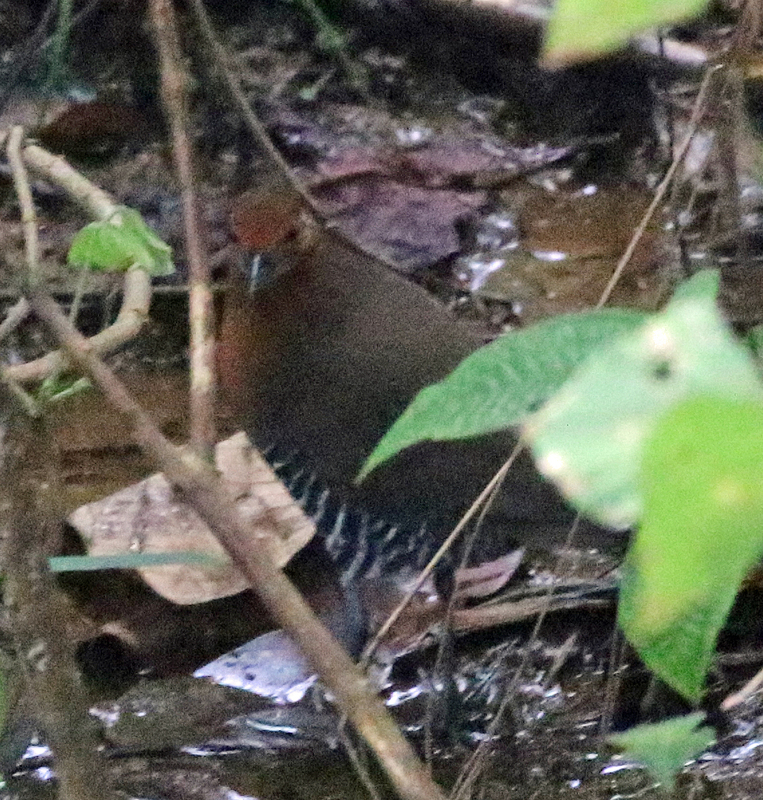 So we moved on to Sinharaja for about 3 days and just about saw everything we had wished for. 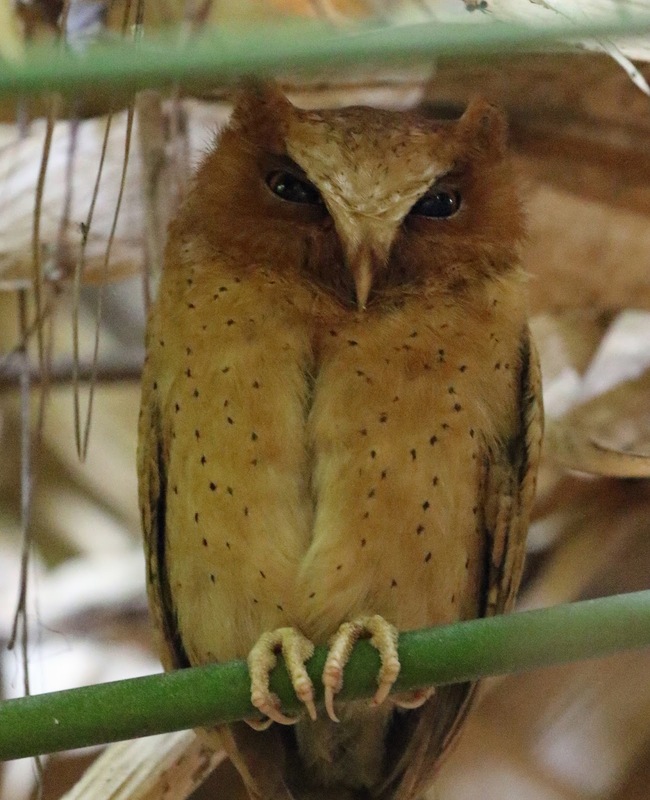 The newly discovered Serendib Scops-Owl did not disappoint and was even sat right out in the open in a patch of bamboo. 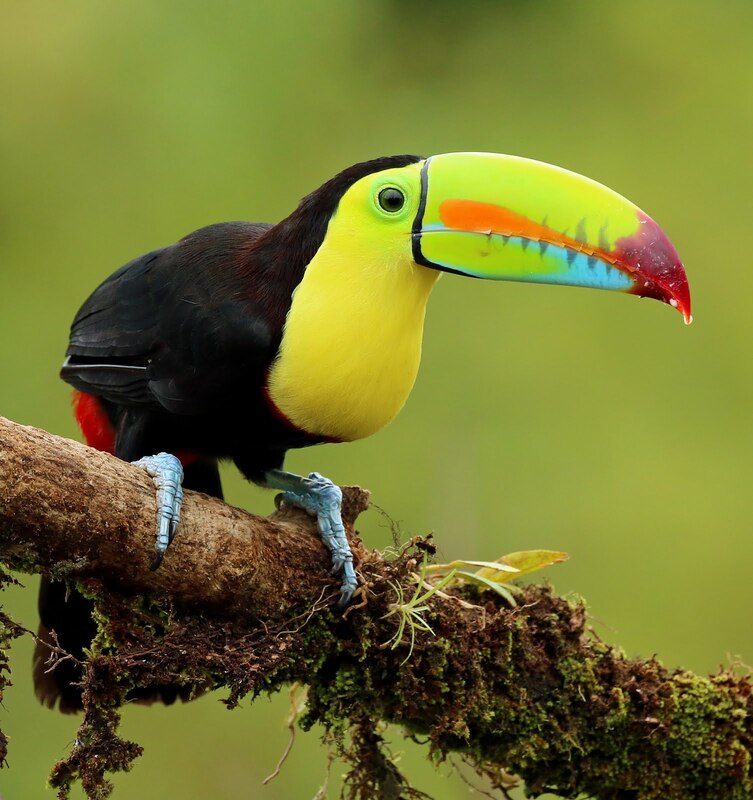 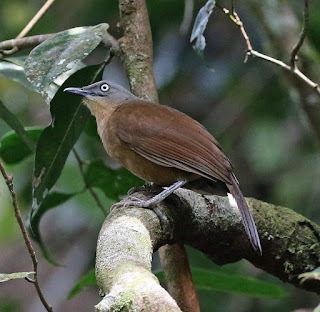 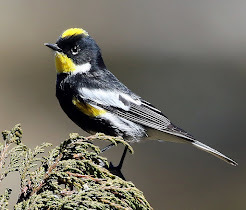 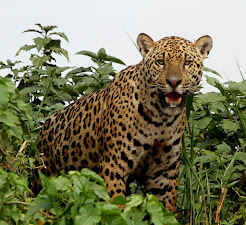 Another was found as we made our way back down to the lodge from the rainforest and indeed was another endemic. 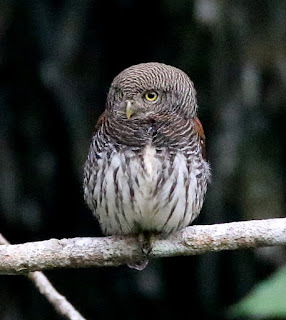 The Chestnut-backed Owlet. I like spotting owls from moving vehicles so this was a nice find. 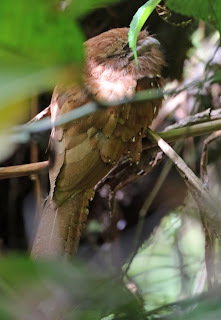 Not quite an owl we struggled to find a roosting Sri Lanka Frogmouth but eventually one was found fast asleep half hidden in the forest. 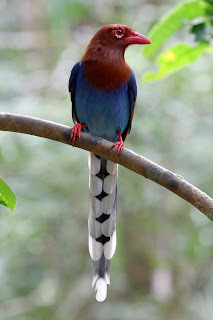 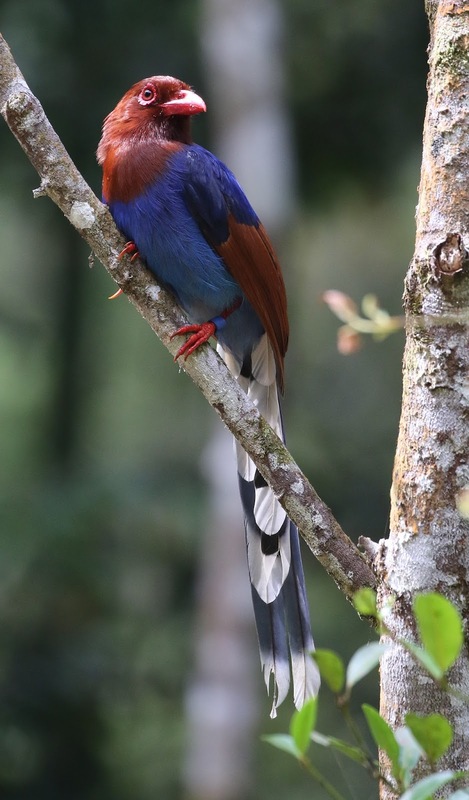 Up at the research station in the rainforest we were treated to great views of the endemic Sri Lanka Blue Magpie. Here is our record shot of Slaty-legged Crake a bird few people get to see in Sri Lanka.